Richard is a professionally qualified and vastly experienced international learning and development specialist, who has proven ability in the design and delivery of negotiation learning solutions in response to clients’ need for innovation and Return on Investment. 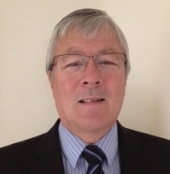 Richard has designed and delivered negotiating skills training for many years in the banking, engineering, pharmaceutical, transport and aviation sectors to name a few. Richard's negotiation skills training is tailored to the specific requirements of the target audience and the department or function they represent. These have spanned sales, procurement, legal, compliance or senior leadership, across a comprehensive range of clients and industries. Richard uses blended learning tools wherever possible to achieve maximum effectiveness and cost efficiencies and practical negotiation role plays are an integral part of the negotiation courses he delivers. Drawing on his successful previous career in corporate finance sales, corporate credit risk and corporate learning, Richard’s development and delivery of negotiation training solutions for international clients have resulted in positive behavioural change by participants leading to enhanced business performance. In his roles as Regional Training Director and then Head of International Training for a major multinational company, Richard worked with fellow directors and other senior stakeholders to develop and deliver training programes that successfully met the long-term strategic objectives of the company. Richard holds a number of diplomas from the Training Foundation, including Blended Learning and Training Design and Development and is an Associate of the Institute of Financial Services. Richard is a dynamic trainer and excellent communicator, with a flexible style that achieves goals through close attention to client needs, thoughtful analysis and inspirational leadership. Colleagues and clients regularly comment on how engaged they felt by Richard's delivery style and how much they enjoyed his humour.